A combination slice of life and surreal adventure, inspired by the designer's own experiences and The Garden of Forking Paths by Jorge Luis Borges. 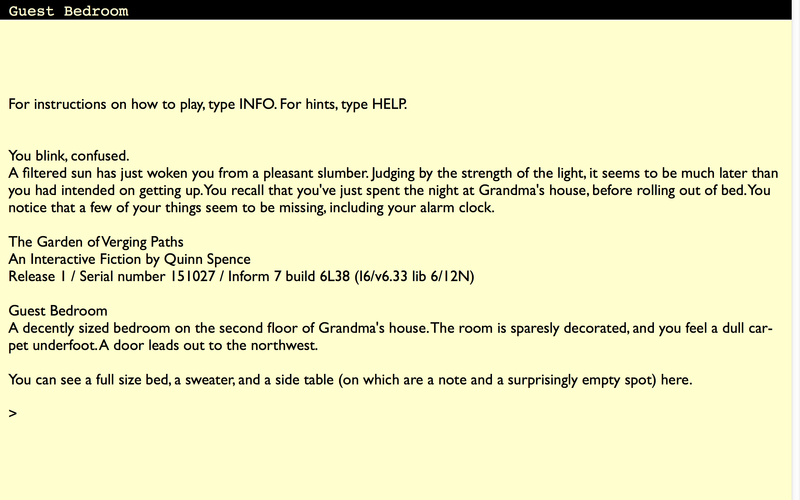 If you have never played a text adventure before, it is recommended that you begin by typing INFO and pressing the Enter key. 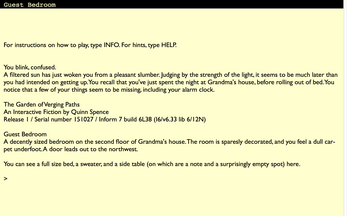 If you find yourself in need of assistance, type HELP.